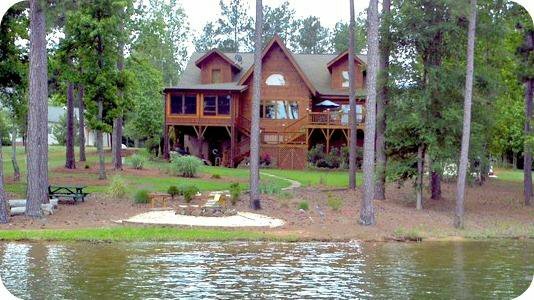 Debating on a mountain cabin or a lake home? 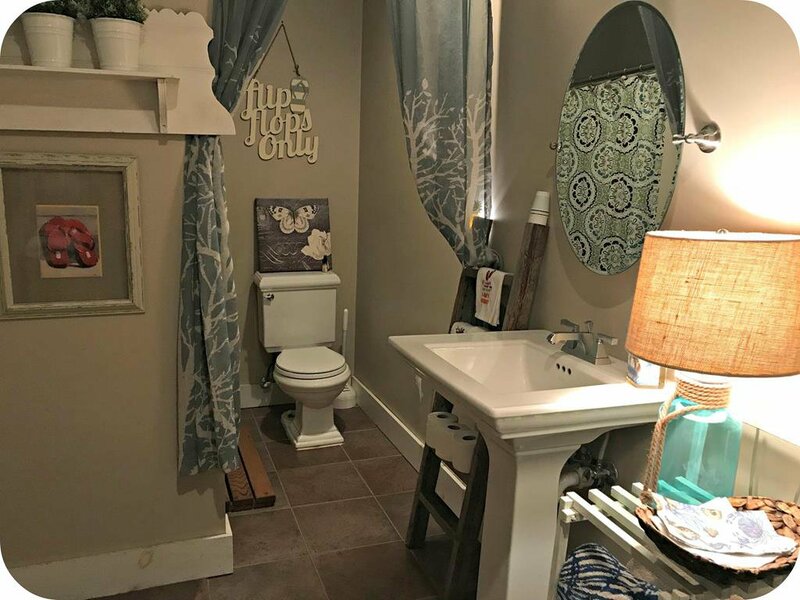 Problem solved! 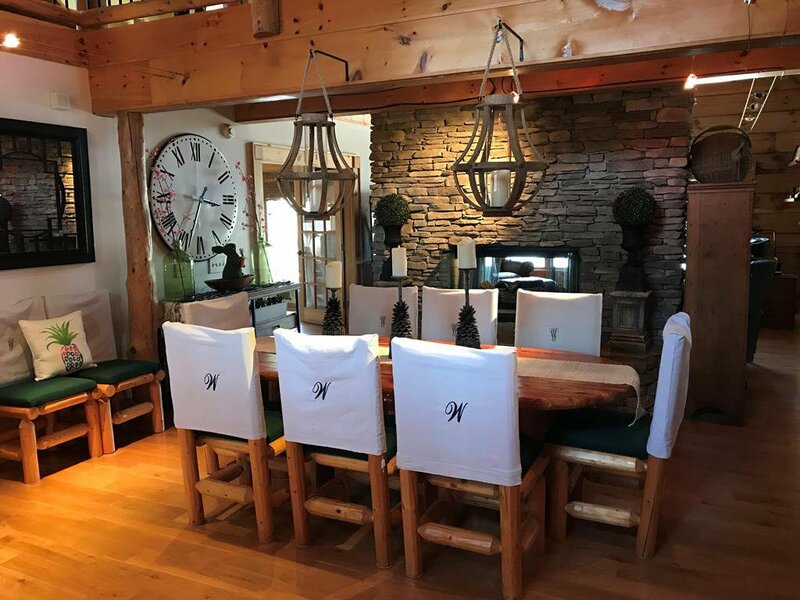 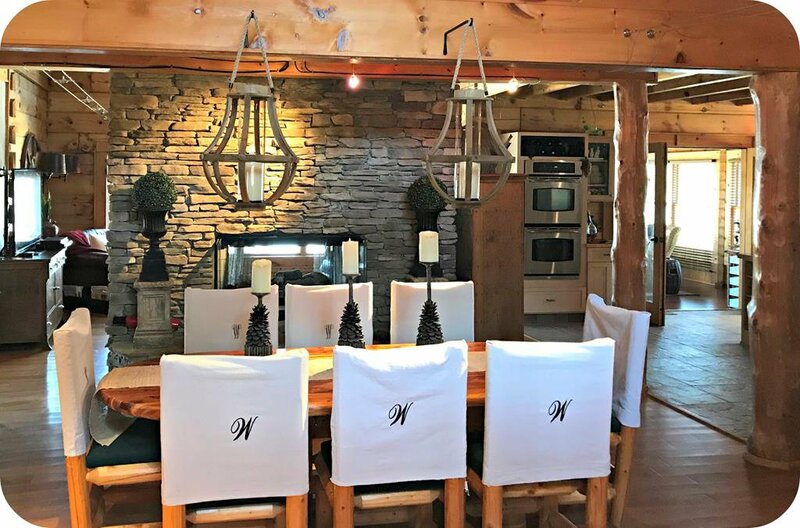 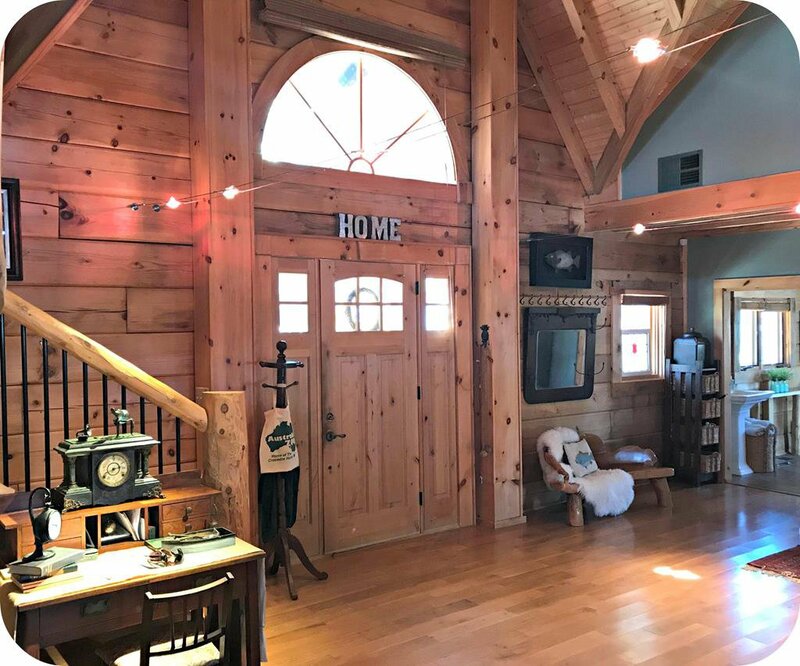 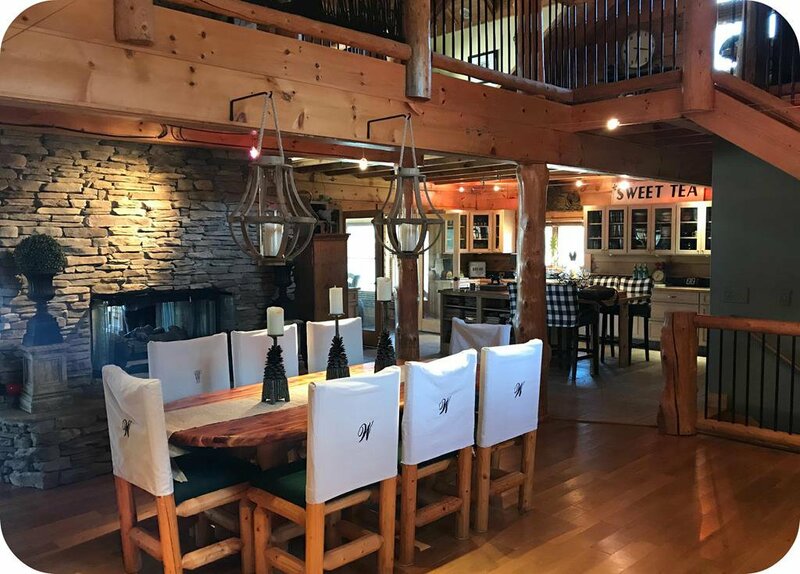 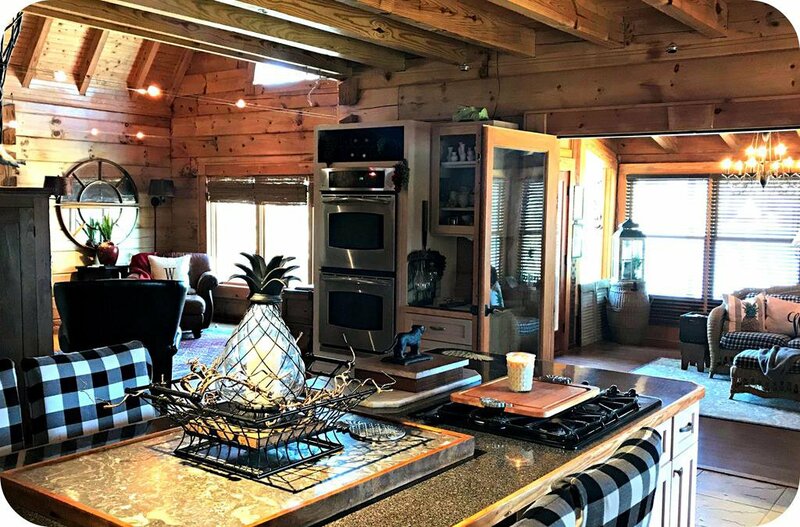 This incredible Jim Barna log home is the pride of the point in beautiful Watersedge. 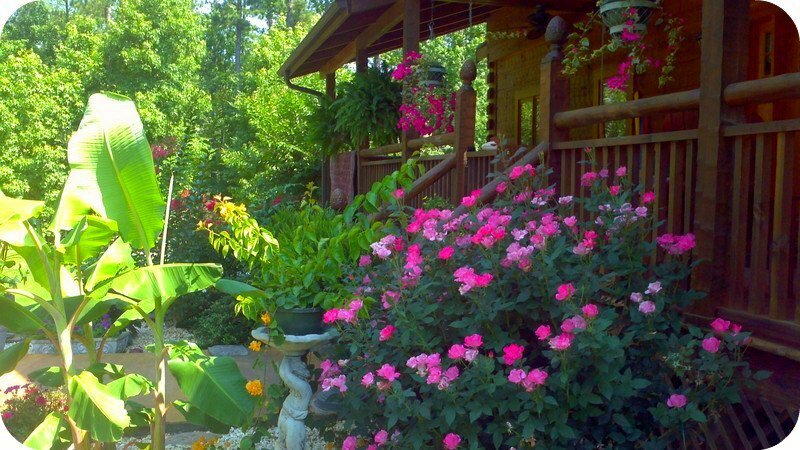 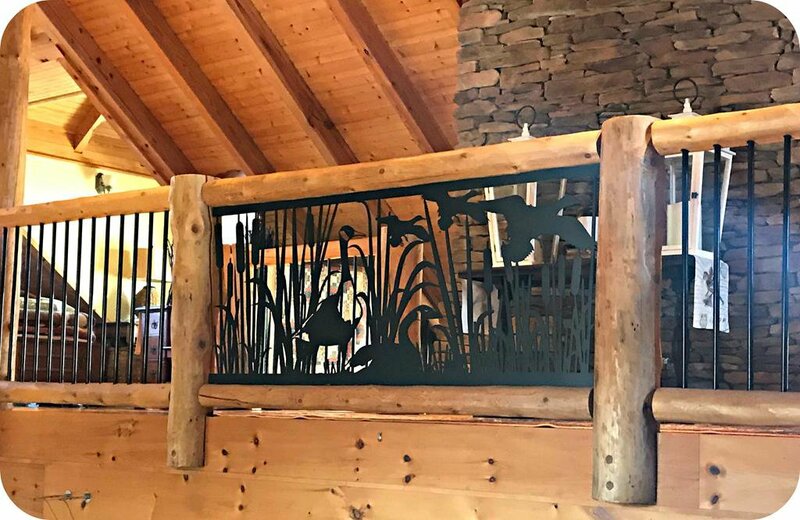 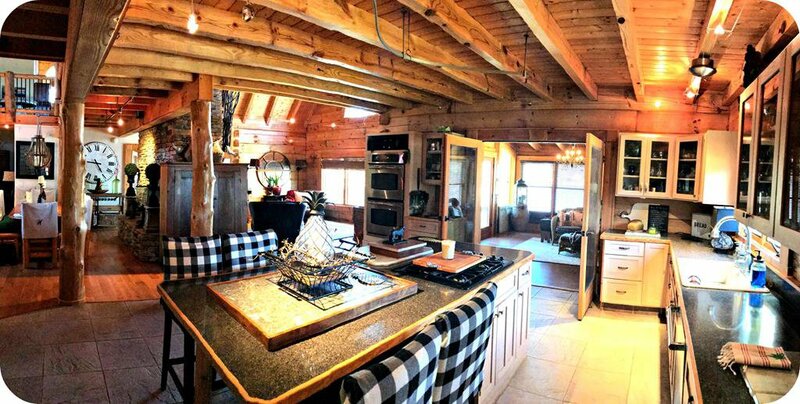 You will see an open, bright and absolutely beautiful log home designed for maximum enjoyment. 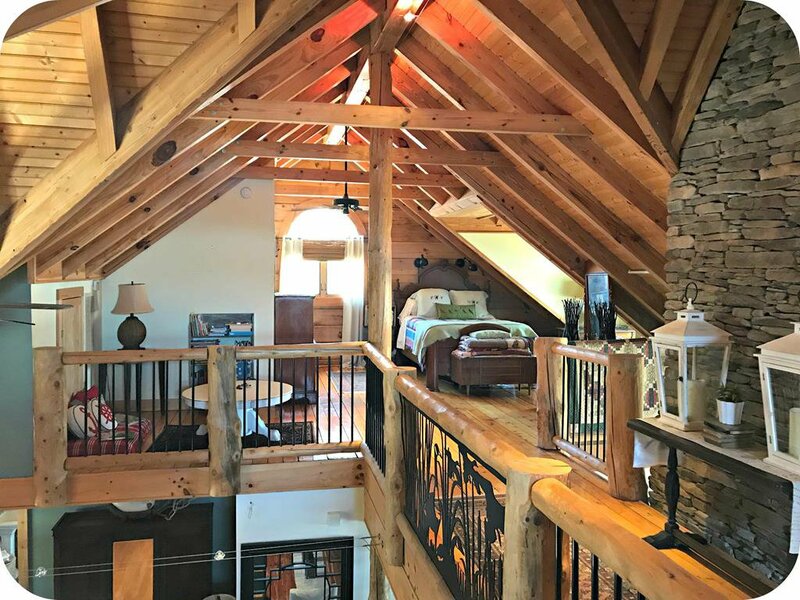 Soaring open beam ceilings show off the true hand-hewn logs. 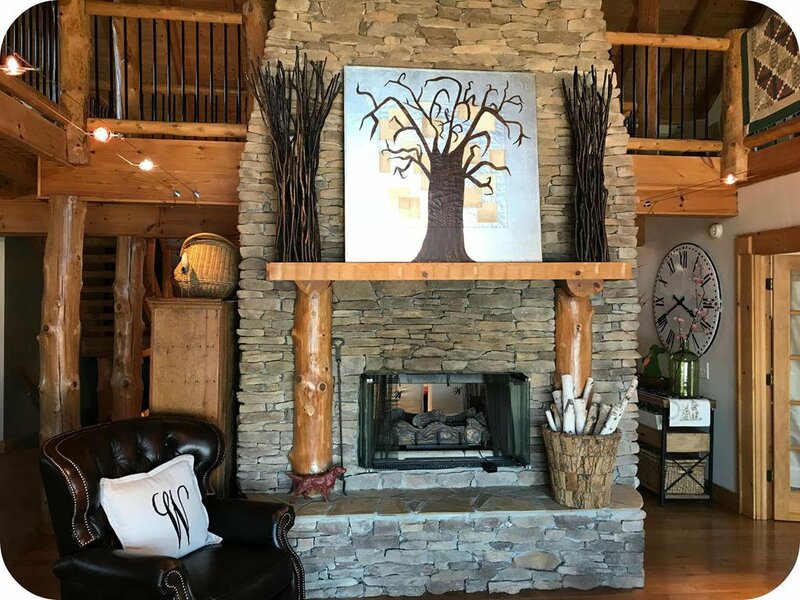 Open large great room with incredible two sided stone fireplace will wow friends and family. 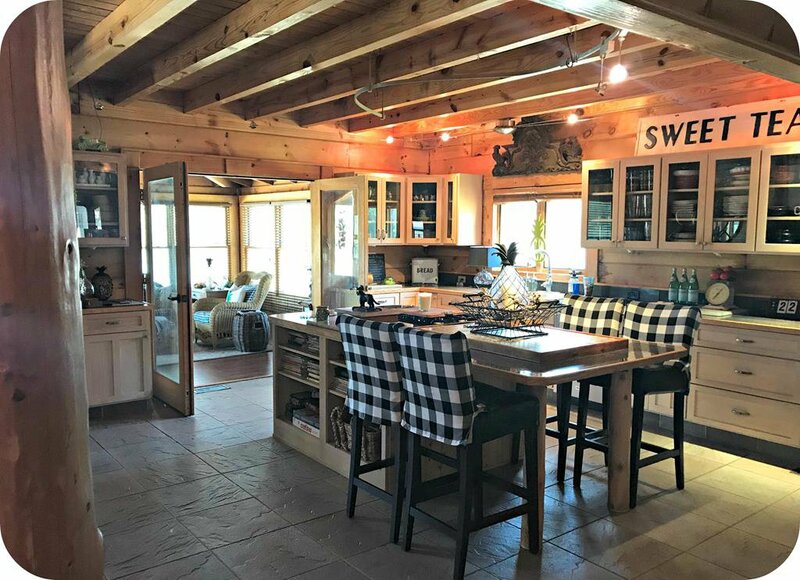 The kitchen looks like it was pulled out of a page of a magazine and is an entertainment center all to itself! 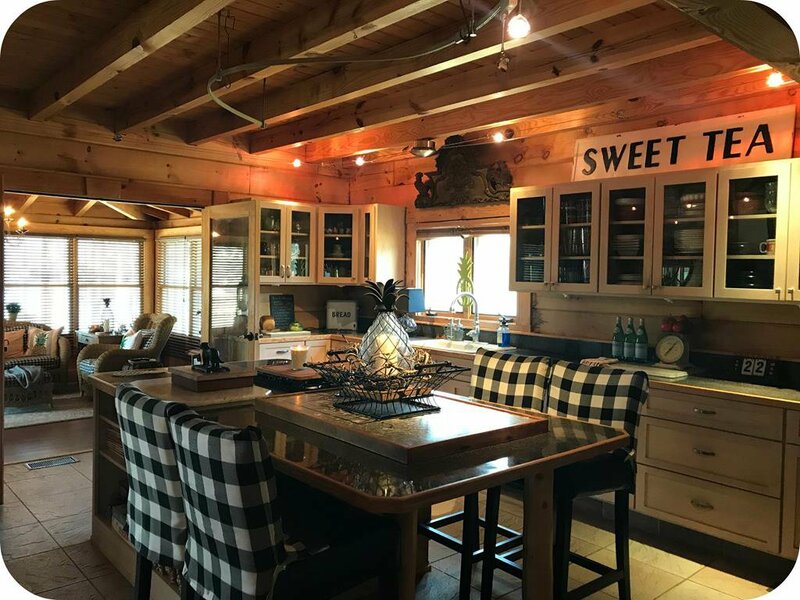 With extra large island featuring a gas cook-top and bar stool seating, plentiful custom drawers and glass faced cabinets, stainless appliances and double wall oven. 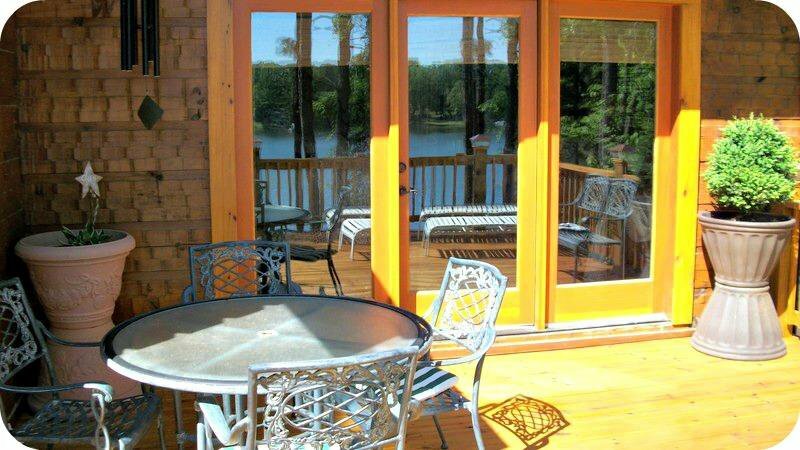 Two custom glass doors lead to the Carolina Sunroom with 180 degree lake views and incredible open beam ceiling. 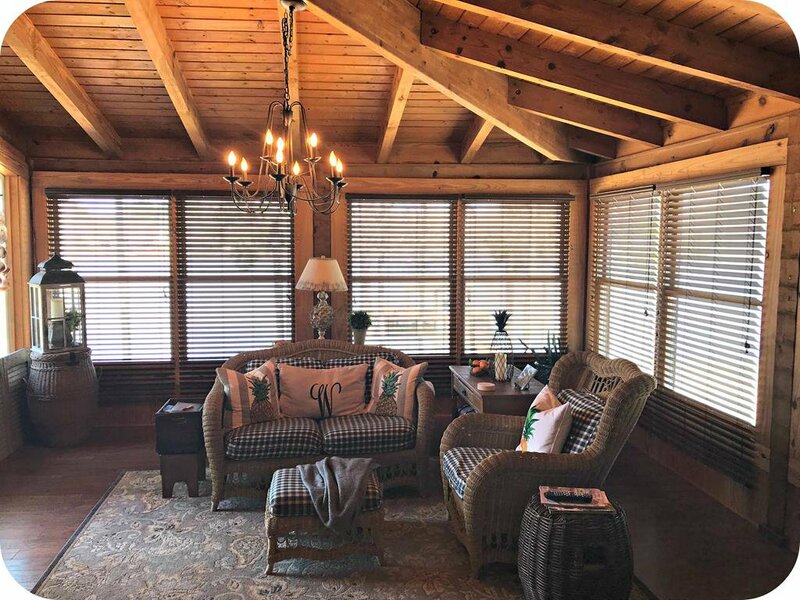 Open the windows to create a screened porch for the spring breeze to flow across the room and gently ease the day. 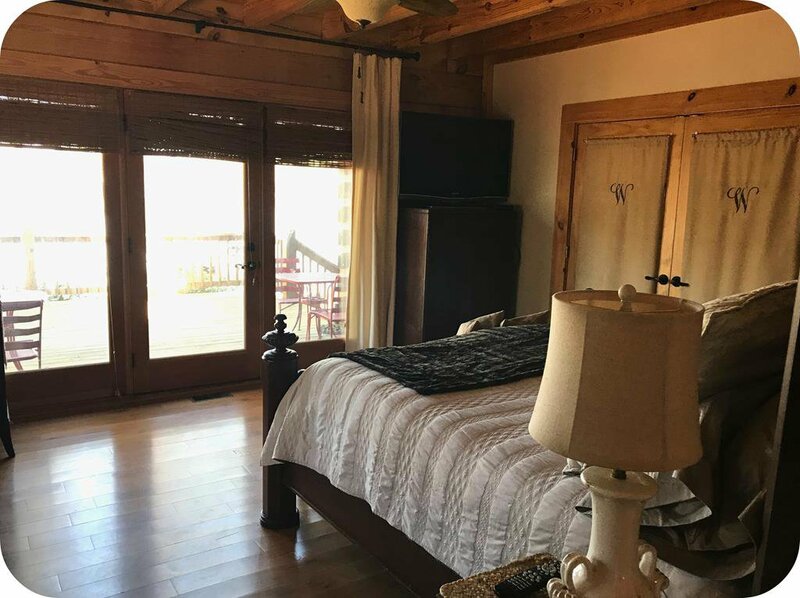 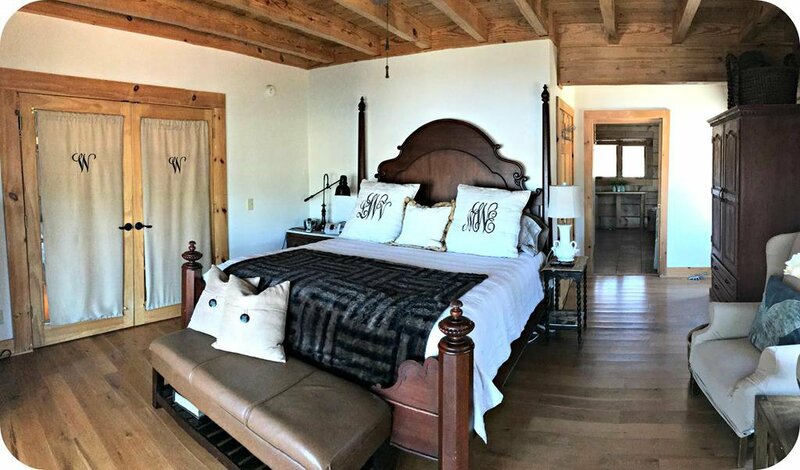 The Master Bedroom offers direct access to a waterfront deck where you will enjoy the morning sunrise view over the water. 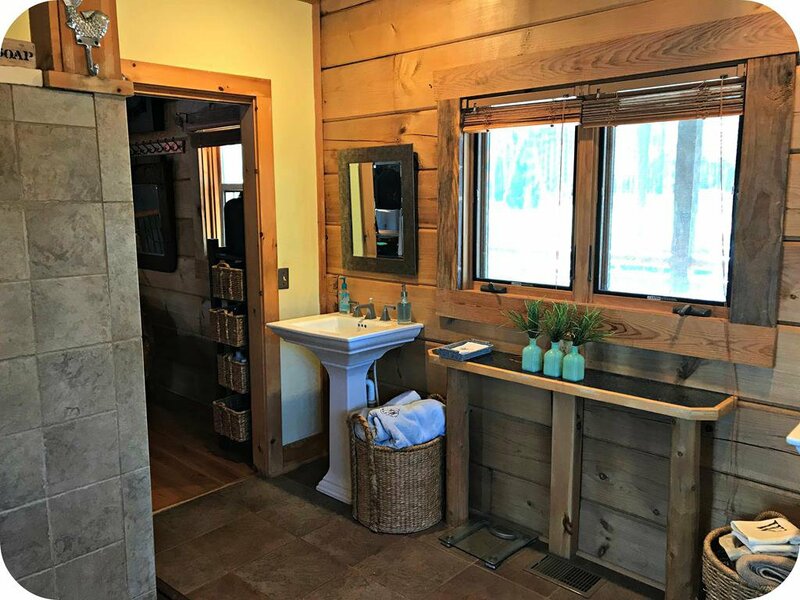 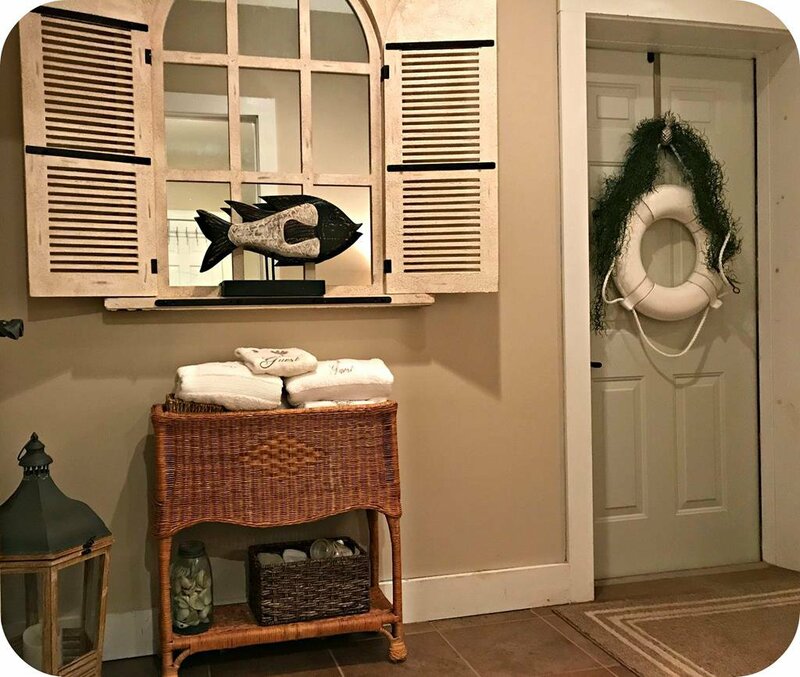 Master bath offers a vacation like experience with every visit. 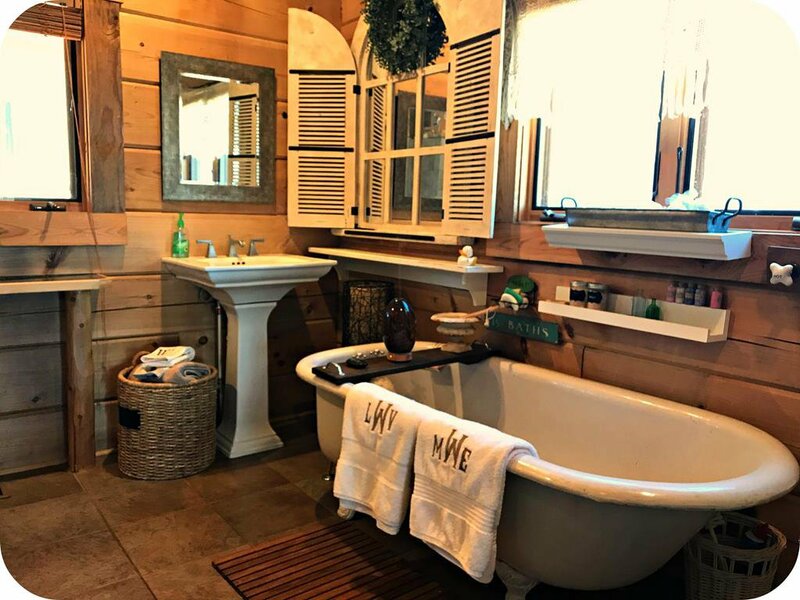 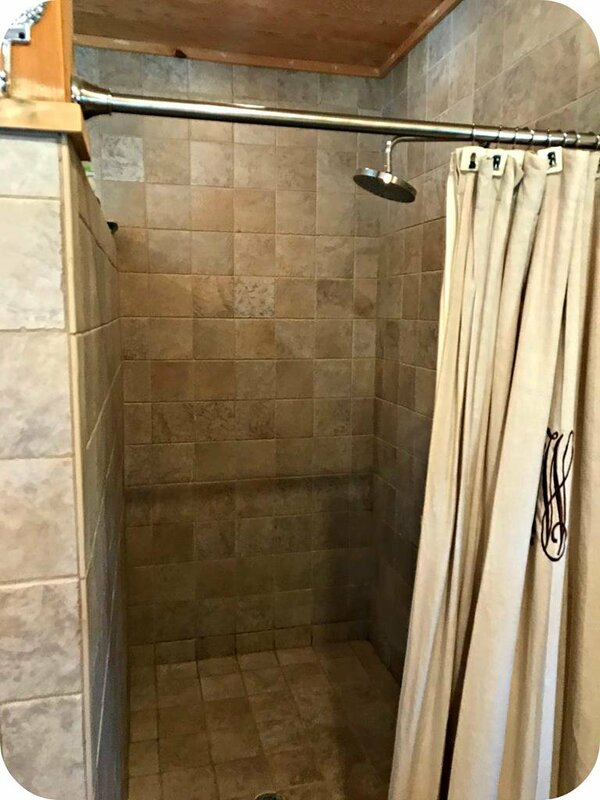 Charming style and design with extra large walk in shower and old fashioned tub. 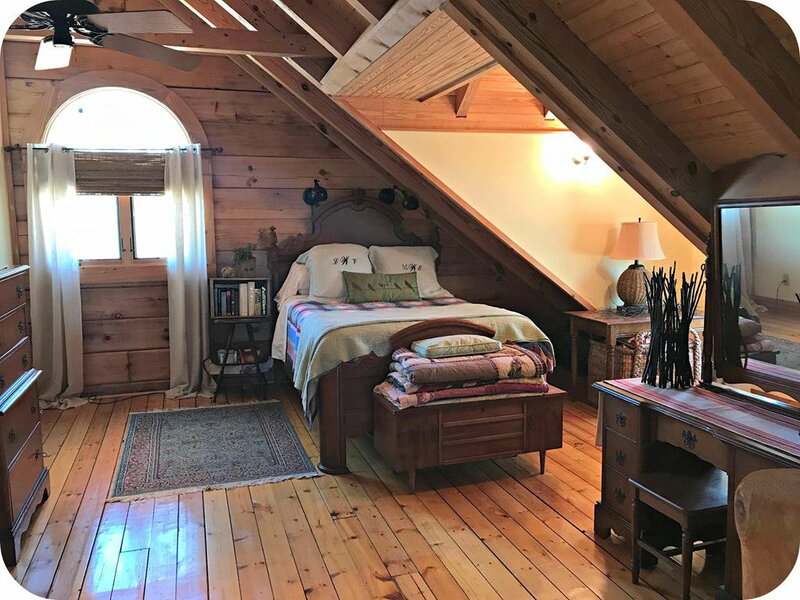 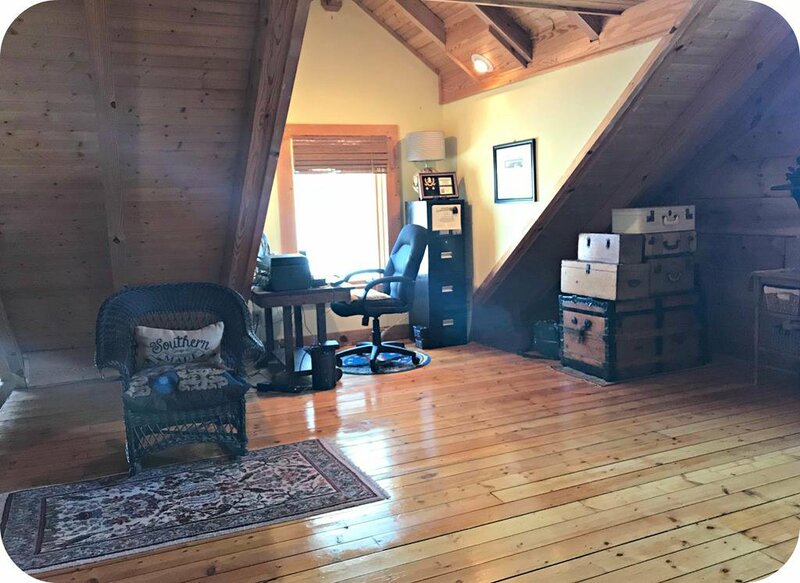 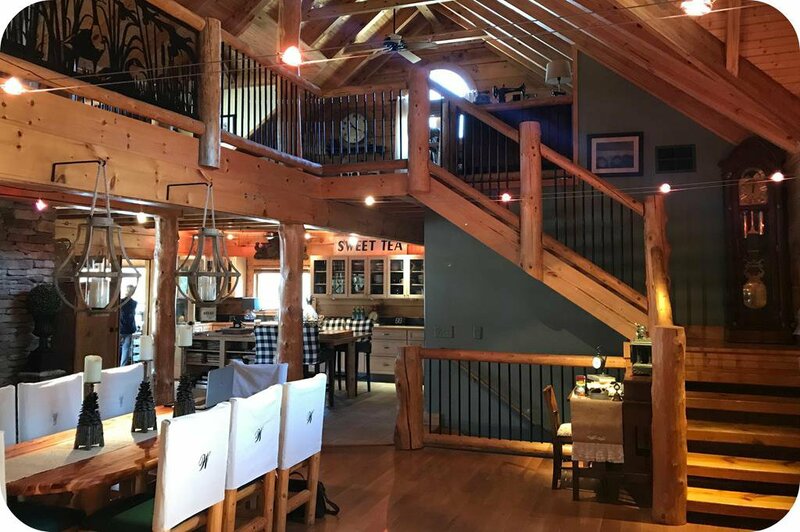 There is a two-section open loft upstairs accented with detailed log and ironwork railing, stylish half bath and two loft bedrooms. 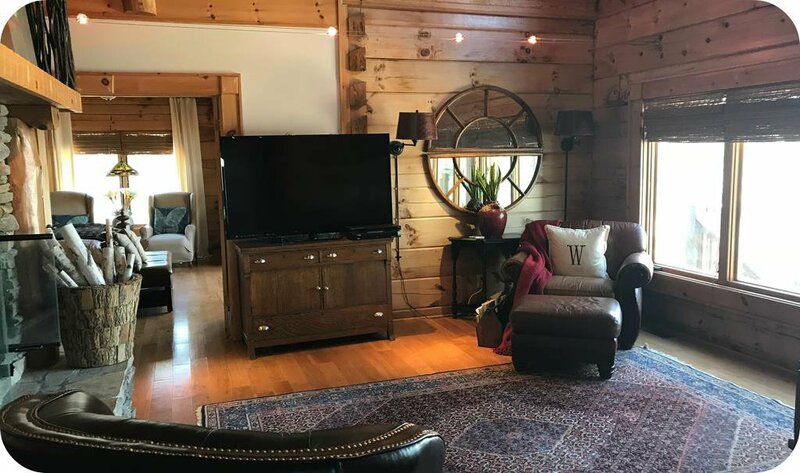 High-tech cable lighting allows for a variety of enhanced lighting options that have to been seen to believe. 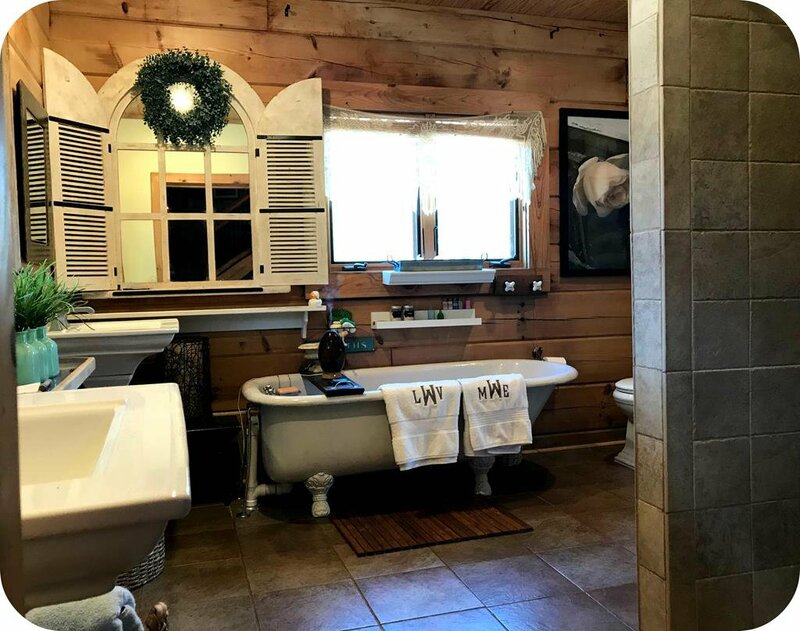 Downstairs is a private guest suite with private full bathroom. 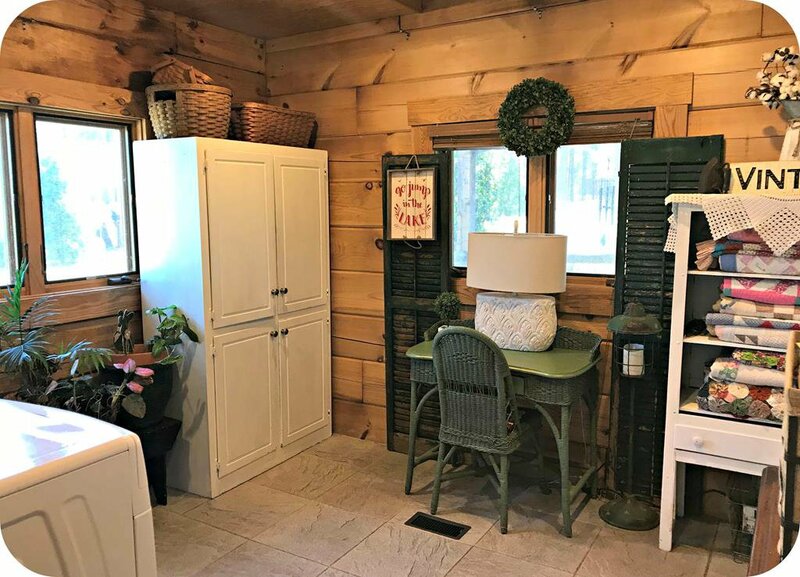 Extra large two car garage with spacious workshop area and easy access to the outdoor oasis. 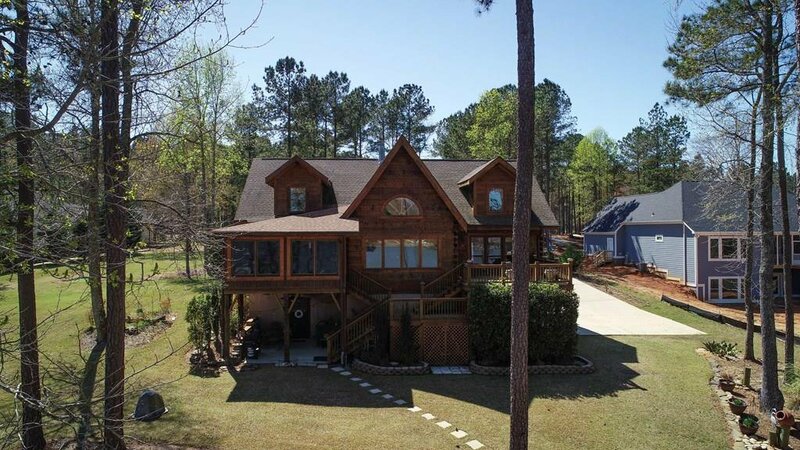 With over 3300 square feet this home provides plenty of space for everybody! 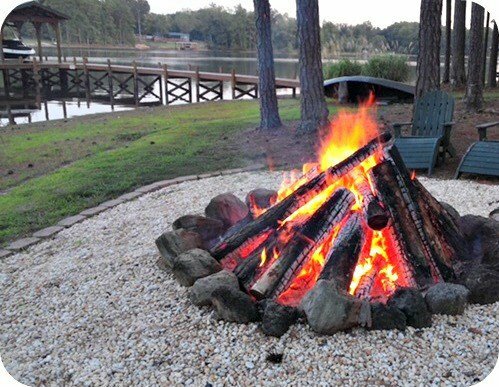 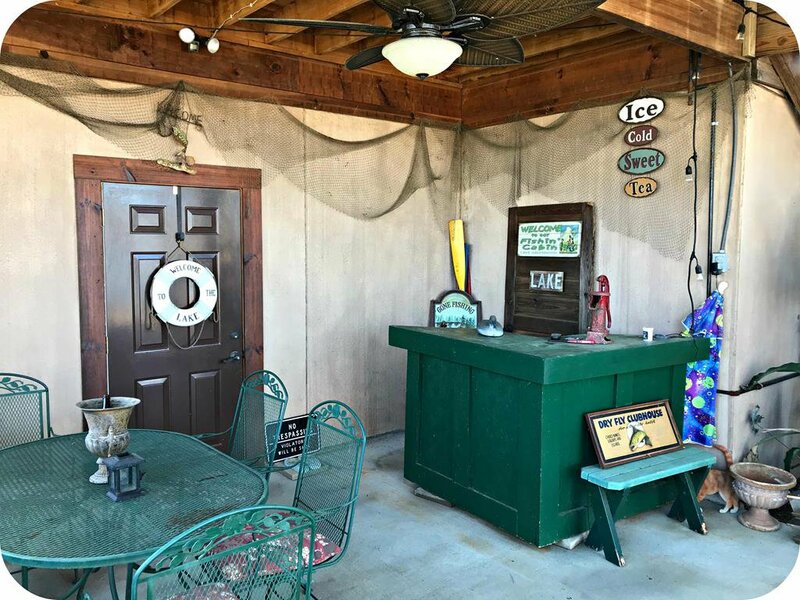 Outdoors you will find exotic tropical and traditional landscaping covers beautifying this 1+ area lakefront paradise surrounded by abundant wildlife which can be enjoyed while sitting around the your stone fire pit near the lake shore, from the outdoor covered patio or the large flat yard. 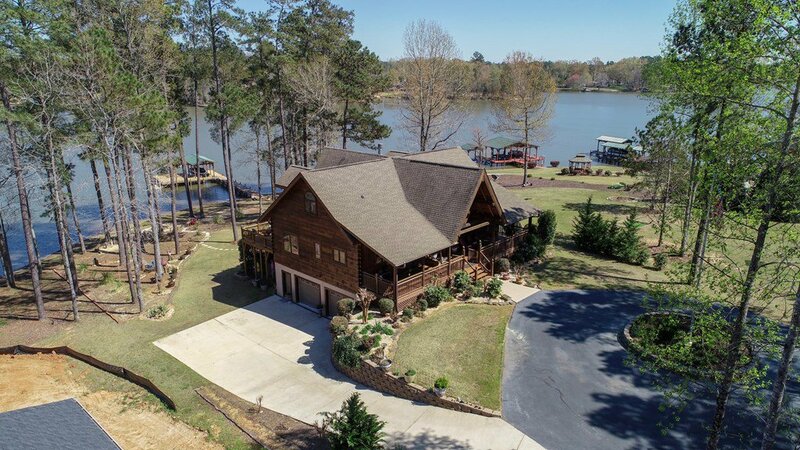 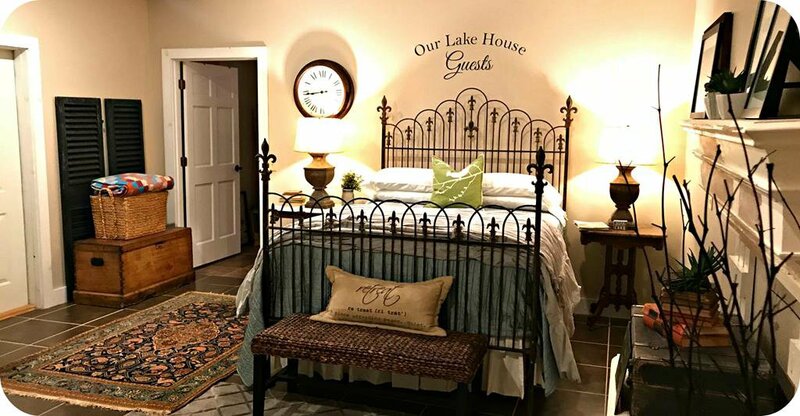 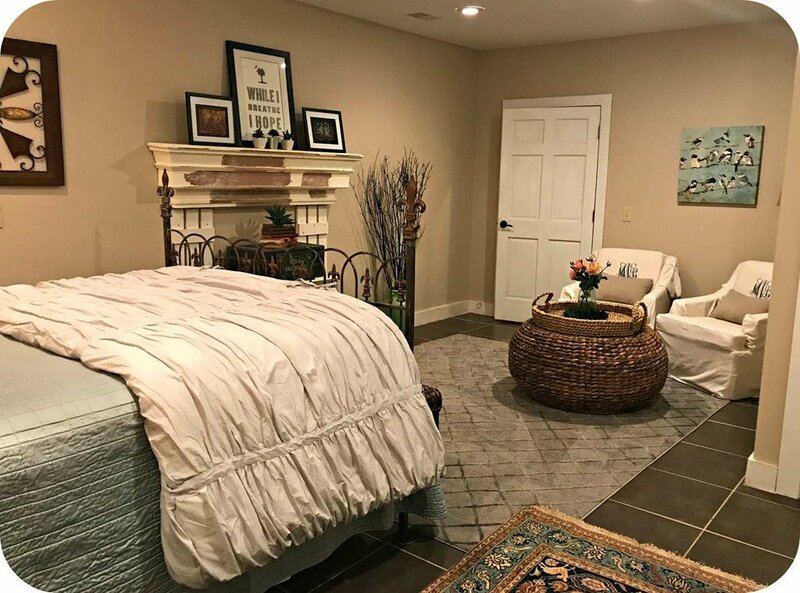 And if that were not enough, there is a custom oversized private dock with covered boat slip and 6000 lb boat lift for easy access to soaking up everything beautiful Lake Greenwood has to offer! 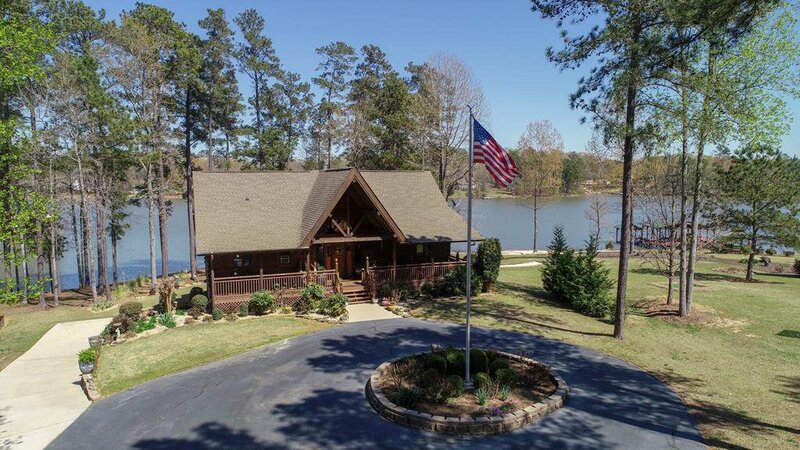 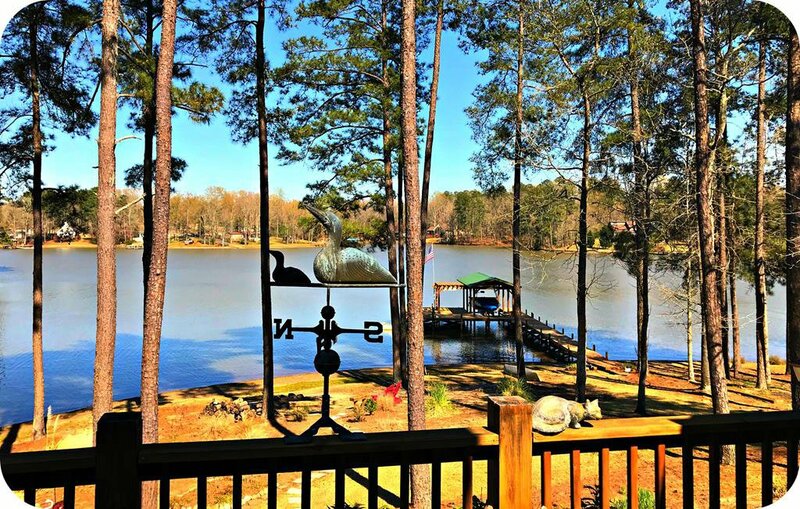 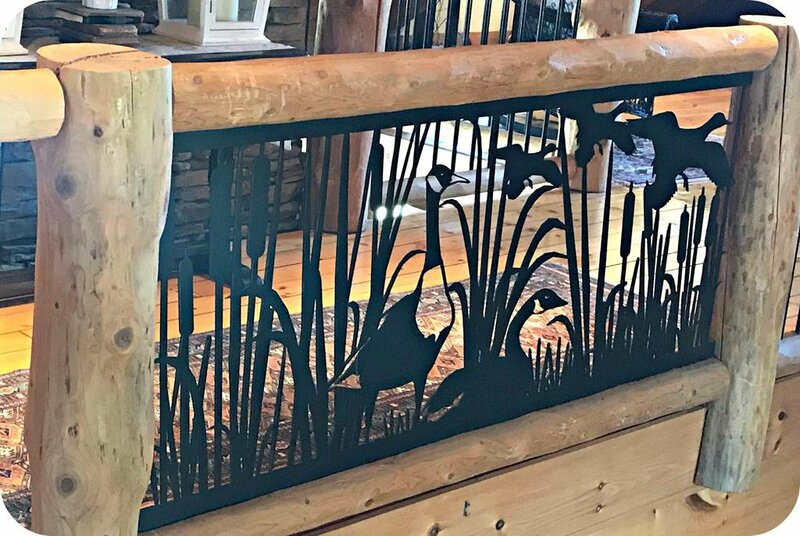 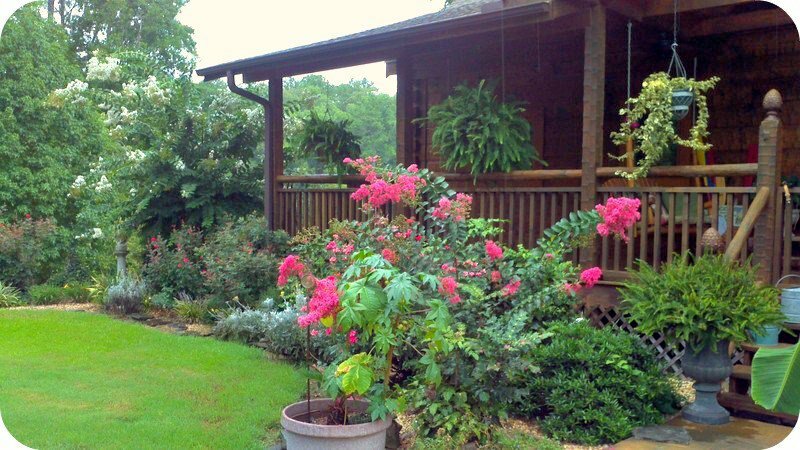 Enjoy the peaceful surroundings, beautiful views and deep clear water on the larger southern end of the 11,400 acre jewel that is Lake Greenwood. 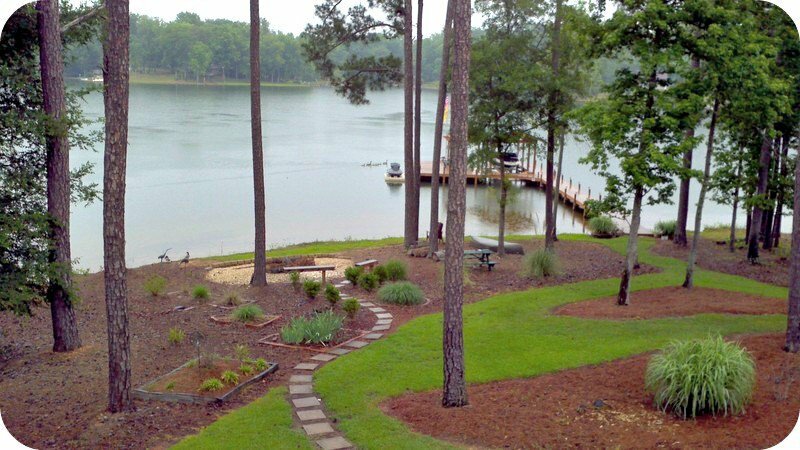 Live a relaxed lifestyle embedded in lake living with award winning hospital system, gorgeous, active, fun and friendly community of Greenwood South Carolina offering you everything you need within a 25 minute drive including a fantastic array of dining options, live music, large regional festivals, abundant retailers both large and small and all of the other amenities required for a fabulous lifestyle. 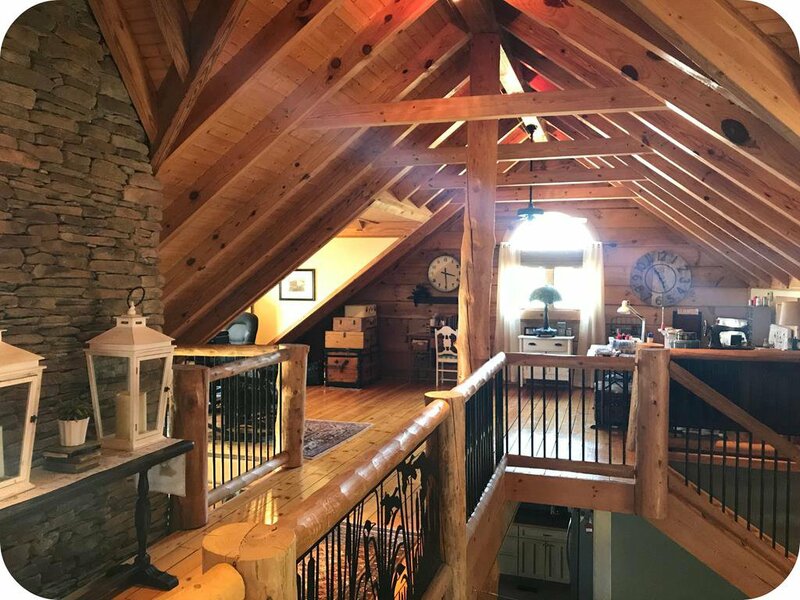 Call today for your private tour of this incredible opportunity! 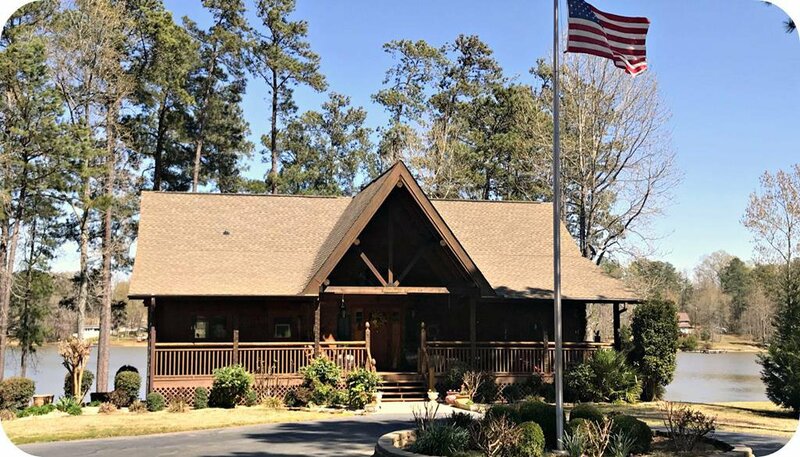 2010 Sea Ray 205 Sport and 2007 Sea Doo GTX Limited, both with less than 150 hours and in excellent condition available for separate purchase.